Classes begin the week of January 28 Sing Out Seattle! SHREK the Musical begins 1 week earlier. The holiday season is upon us! 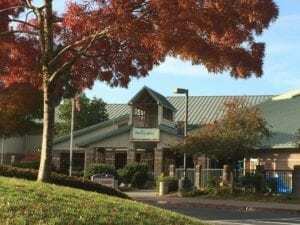 This year Communities in Schools is hosting a fundraiser to provide Thanksgiving meals to Pathfinder families who might need some extra support for the holidays. If you are able, please consider donating, using the link below. CIS at Pathfinder has a goal to sponsor 15 families this Thanksgiving – and we can’t do it without your help! Each meal consists of either a turkey or ham, cranberry sauce or pineapple slices, and stuffing, gravy, vegetables, potatoes, rolls, and olives, all provided by our local Saar’s Super Saver Foods. Meals average to only about $20 each! If you or someone you know would be interested in donating, please use the link below, up until next Friday, November 9th! Please let me know if you have any questions. Thank you SO much for your support!! Here’s an easy way to help support our school. From today through Nov. 2, AmazonSmile will donate 5% of every purchase. That’s 10X the usual rate!!! Do some shopping and help raise money for Pathfinder. It adds up quickly. Simply go to smile.amazon.com and choose “Pathfinder PTSA” as your preferred charity. Then bookmark the link so you go back to it every time you shop at Amazon.com. Even after this promotion, we still get .5% of every purchase so it’s worth doing. Please help spread the word to others! What is Pathfinder Doing About Bullying? What is Pathfinder K8 doing about bullying? The answer lies in the PLUS Committee. This stands for Positive Leadership Utilizing Students. It started with one parent asking questions. And, it will be successful because of our parent volunteers, teachers, support staff, counselors and Administrators are willing to engage and work together. PLUS formed in the fall of 2016. We invited staff and parents to come to the table and commit to meeting twice a month. We started with help from parents, teacher and support staff: Salmon Teacher Lisa, Elk Teacher Talia, Flacon Teacher Trissa, Bee Class Instructional Assistant Jami, Instructional Assistant Whitney McBride, Instructional Assistant Heidi van Brost, Lynx Teacher Leah Hughes, Student Alumni Sam, Parent Holli Margell with the help of School Counselor Emilie Buter and Principal David Dockendorf to help guide us. Protocol for reporting within the school so that all parties are informed and there is a clear way to deal with incidents. 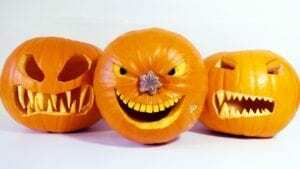 Pumpkin Carving Party – Thursday, Oct. 25! Join the ghouls and goblins of Pathfinder for a fun evening of pumpkin carving in the cafeteria from 6:30-8:00 pm on Thursday, October 25! It’s a great way to get inspiration for your pumpkin faces and share in good times with friends. Congratulations on a great Matching Monday! We met the Board’s match of $3000 and blew past, with a total of $3,770 donated yesterday! We’ve raised $13,064 so far, but still have a ways to go to meet our goal of $25,000 by Friday. Thanks to all who have and will be donating! If you haven’t donated already, help us keep the momentum going and drop off a check at the front office (payable to “Pathfinder PTSA”) or donate online at bit.ly/directgive. The PTSA only raises funds through three activities – Direct Give, selling wreaths over the holidays, and the annual auction. Every dollar you donate to Direct Give is funneled directly back to Pathfinder. This is the last week for our Direct Give campaign. Donate by Friday! This year, the PTSA is providing an extra $75,000 in academic and classroom support – tutors, instructional aides, library books, classroom supplies, art supplies, and P.E. equipment that our kids would otherwise not have available. The PTSA also sponsors educational and fun events that are outside the classroom for our kids – such as Science Fair, Field Day, and of course, camping! Every donation, no matter what the size, makes a difference, and we appreciate whatever amount you can afford! Pathfinder rocks! We can do this!! Don’t miss the Harvest Festival Tonight 6 -8 pm! This year’s festival will be a potluck event to celebrate the bounty of the Pacific Northwest. We will gather together with our families to share a meal, press cider, listen to music and learn about what is happening in our very own garden. Get a tour and see the progress on our our outside classroom. Come experience a Pathfinder tradition our kids listen and learn from at Monday Morning Meetings. Roger, native storyteller and member of the Lower Elwha Band of the S’klallam Indians, will share with us two of his incredible stories, also known as Teachings of the First People. What do you want from your PTSA? Susan Elderkin, this year’s PTSA president, will lead a brainstorming session to hear what needs and wants our community would like this year. Come share you thoughts and ideas! • PTSA Business: Announcements and voting on our 2018-2019 Standing Rules. • Principal Report: David will update us on school-related items. • Spirit Wear Raffle: Everyone that attends will be entered to win a t-shirt. Free childcare provided by Blazing Trails for kids 5-12.